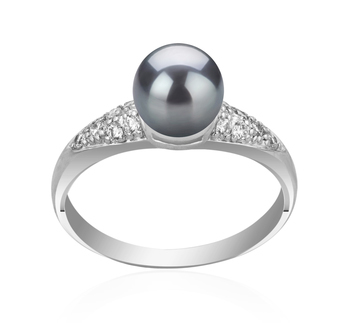 A ring is a very intimate piece of jewellery and will often be worn on a daily basis. 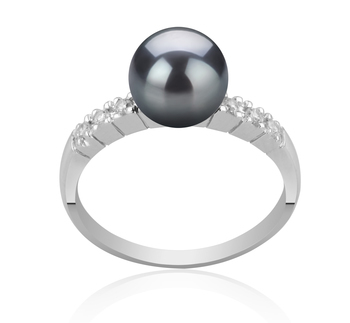 The type of black pearl ring you buy should fit well and feel comfortable when being worn. 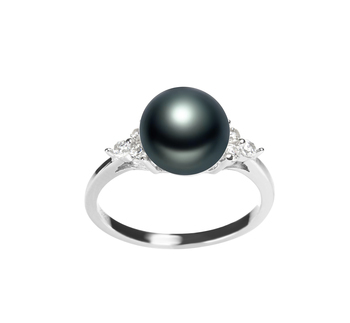 So in order to help you choose the right ring for your or to give as a present, we offer some tips below that will prove useful. 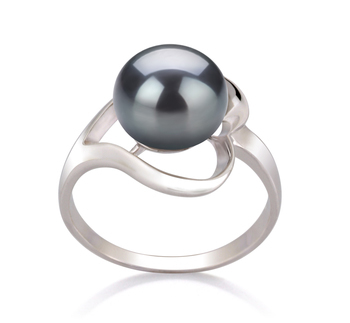 There are certain things you can do that will help to ensure that you buy the right size black pearl ring for yourself or to present as a gift to someone else. 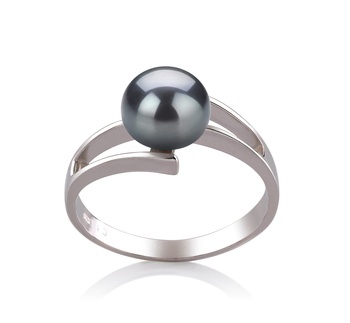 You must make sure that you measure your finger as the end of the day as this is when your fingers are their largest. 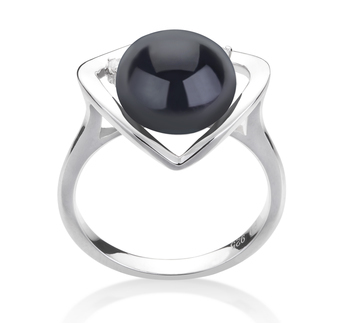 You should never try to measure your fingers when they are cold, instead allow them to come up to room temperature. 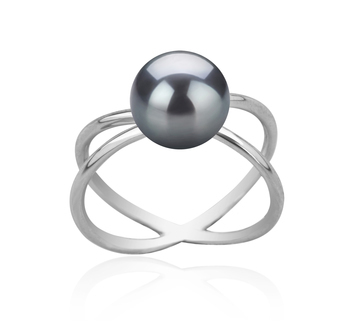 To actually work out what size ring you can wear you need to measure the finger on which you would like to wear it on. 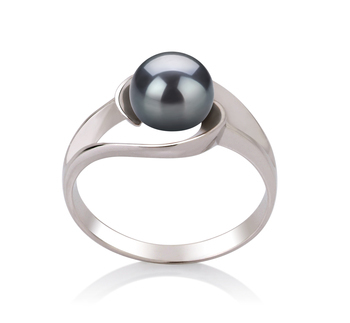 You will also need to use this process to find the right size black pearl ring you wish to give someone as a gift. 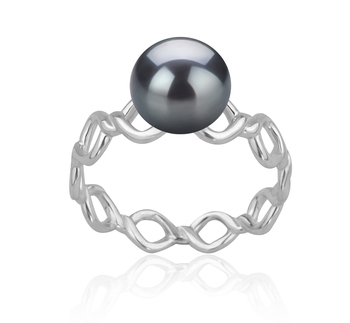 To begin with, you need to get a piece of string or a strip of paper and wrap this around the finger. If you are using paper mark on it where the two ends meet. If using string then just hold it at the point where it meets the other end of the string. Now take the string or paper and lay it beside a ruler and this will provide you with the circumference of your finger. 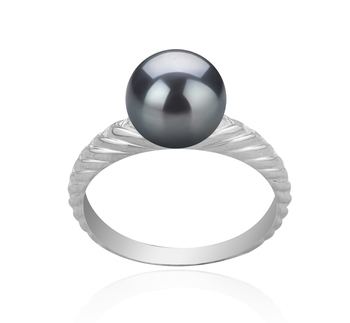 To get the actual diameter of your finger you must divide this figure by 3.14. 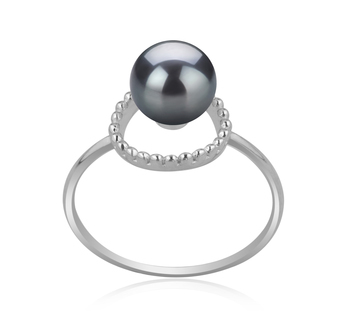 Because of the versatile nature of black pearl rings, they make the perfect gift to be given on any occasion. 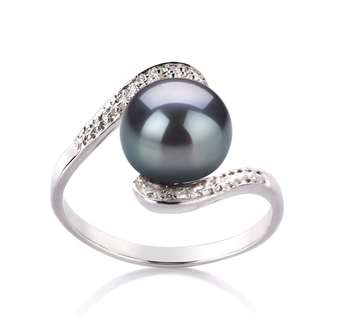 Plus such a gift will add weight to the occasion that it has been chosen for due to its sophisticated nature. 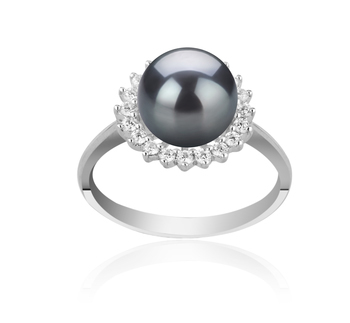 Here are just some of the occasions when the presentation of rings with black pearls in their design would be a wonderful idea. 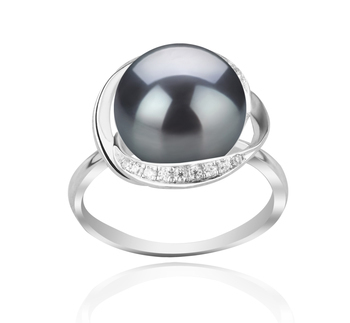 What would be more wonderful than when you present your mother with a black Tahitian pearl ring. 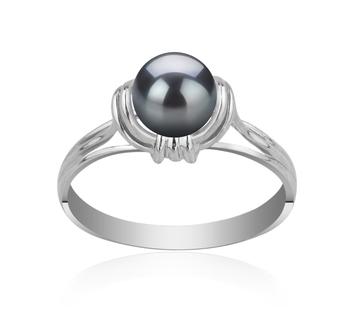 It will clearly tell her that she means the world to you. 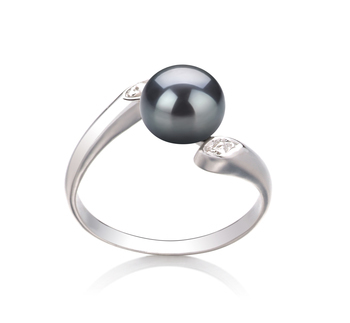 Such a piece of jewellery won’t just compliment her elegance but also her gracefulness. 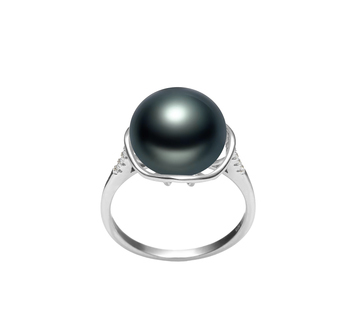 Black pearls tend to get associated with women who are strong and independent. 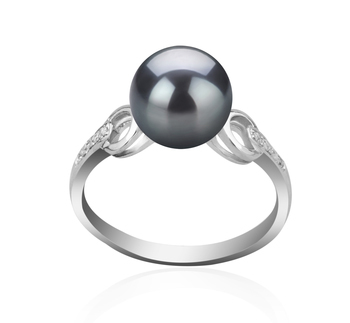 This is why presenting a girl with a black pearl ring on their graduation is the perfect gift. 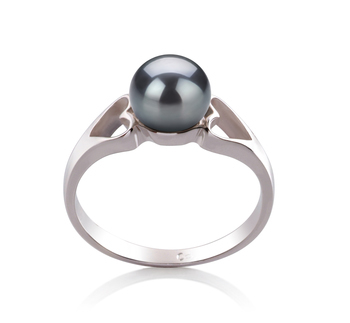 One of our modern black pearl rings will help to accentuate their transition from being a girl to being a woman. 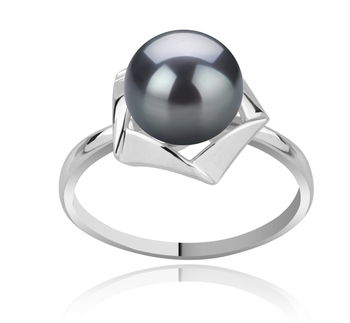 Even black pearl rings make a wonderful present to give to your wife, girlfriend, daughter, mother or niece on their birthday. 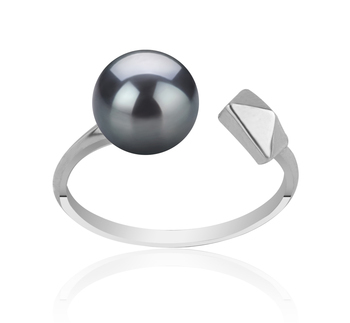 For younger women, simple designs are the best option. 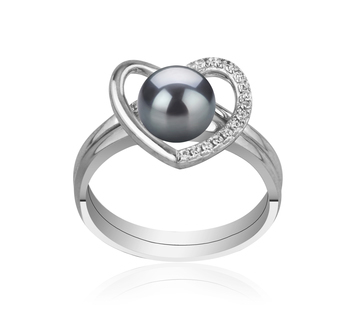 Whereas for your wife or mother may be going for something a little more elaborate such as a design that also includes diamonds or cubic zirconia In the design would make the ideal gift. 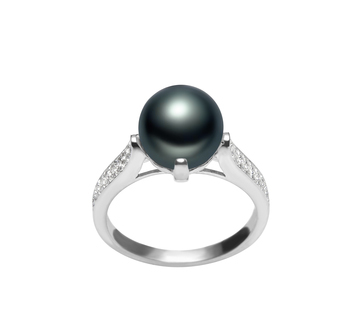 We have a wide variety of different styles of black pearl rings to choose from so you will be able to find one that suits any of the occasions we’ve mentioned above. 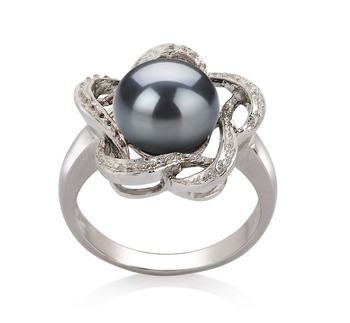 You will also be able to find one that best suits the recipient’s style and taste.